Back in July 2013, the Government announced there were to be some changes in the curriculum, to take effect from September 2014. The reason for these changes was stated as being to help schools in England ‘catch up with the world’s best education systems’, and I am sure there is no parent or teacher who would have any objections in principle, after all, we all want the best education for our children. 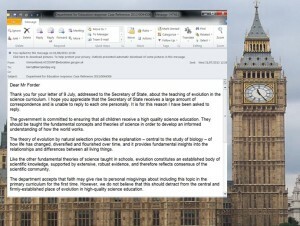 I found it somewhat ironic that, in its attempt to shift towards a stronger sense of hard facts and scientific knowledge, the Government were intending to include the teaching of evolution to primary school children, for which, despite being 150 years on from Darwin, there are still no hard facts but rather a mishmash of conflicting and academically discredited ideas. “The theor y of evolution by natural selection provides the explanation – central to the study of biology – of how life has changed, diversified and flourished over time, and it provides fundamental insights into the relationships and differences between all living things. Like the other fundamental theories of science taught in schools, evolution constitutes an established body of scientific knowledge, supported by extensive, robust evidence, and therefore reflects consensus of the scientific community”. Confirming my initial concerns, the Government were clearly intending this to be taught to impressionable primary school children as the explanation. Furthermore, they were intending to promote evolution on a par with the fundamental theories of science. 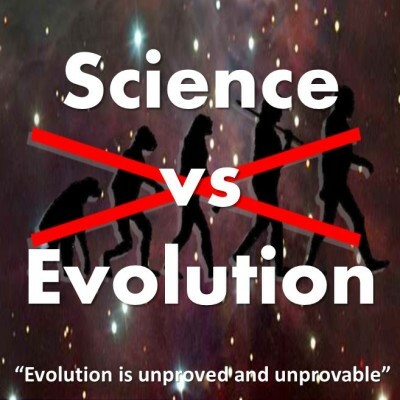 Yet evolution – and in particular, Darwinian evolution – is not, by definition, a scientific theory; nor is there any of the supposed ‘extensive, robust evidence’ the Government claims to have. I asked Michael Gove for one piece of scientific evidence, something that I don’t have to take by faith; just one thing that is observable, testable, repeatable? The answer I was given was simply “The government is very firm in its position. I am sorry but there is nothing more that the department can say on the matter”. The Government chose not to answer a single scientific objection raised to them, but simply said , ‘we’re going to do it anyway’. Surely the kind of ‘high quality science education’ we want in our schools is not the kind that eradicates the very essence of science, the ability to think freely, looking at the world around us and being honest enough to go wherever the evidence leads? Nor should we be so quick to promote a philosophy that states there are ‘favoured races’, and removes moral accountability? The leaflet we have produced, in collaboration with scientists who hold doctorates in their field, shows clearly that the theory of evolution as proposed by Charles Darwin is scientifically impossible. We would encourage teachers and parents to read it, and if the theory of evolution is to be taught, be honest enough to inform our young and impressionable primary school children that it is a theory not supported by the hard facts of science. 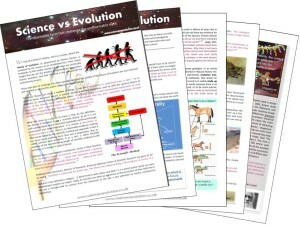 You can download the Science Vs. Evolution PDF here (see link at the top of this page).